There's something about street art that never fails to amaze and inspire me. The talent behind the paintings accomplished on such a huge scale is so impressive! this is difficult, time consuming work and these artists make it look like a breeze. 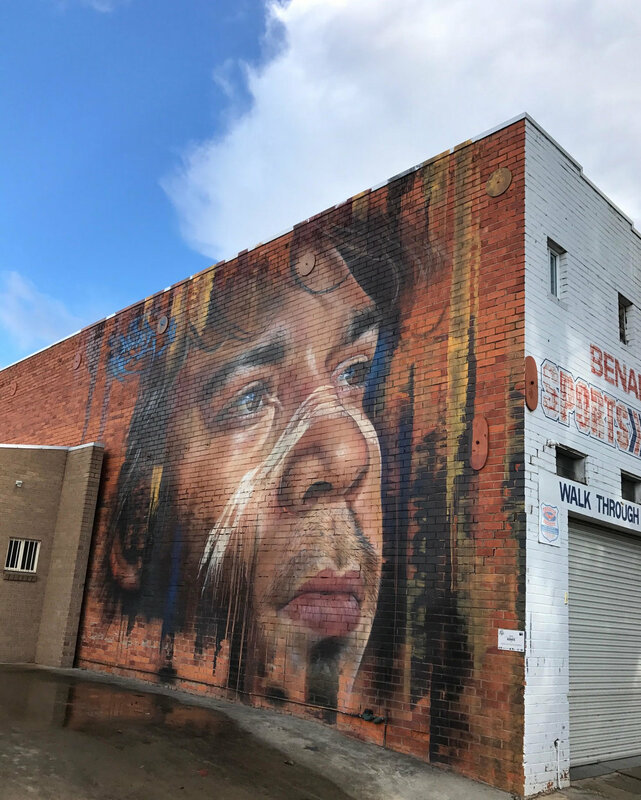 There are 28 outdoor murals in total on the Walls of Benalla's buildings that the guided tours covered in roughly an hour, this is impressive considering it makes Benalla one of the most densely populous outdoor street art galleries in the country! Even when compared to suburbs in Melbourne that are renown/famous for the amount of paintings scattered throughout the streets. Wandering around Benalla is like an easter egg hunt or something! you find yourself unconsciously scanning the street every time you turn a corner looking for the next piece of art bringing the side of what was a plain old brick building to life! Artists committed to 3 days of live painting, creating magic on the streets. See some of my snaps below. A-Mazing! One of my personal favourite street artists 'Rone' was one of the very successful, Internationally recognised Melbourne artists involved in this years festival, providing a large range of his work to display inside the Art Gallery, as well as decorating the streets. Rone's attempt to find the friction point between beauty and decay in his paintings of beautiful, doll like women faces is simply captivating, the paintings that bring such beauty and grace to spaces previously run down, dark and despoiled absorb you. These women now permanently populate the streets of Benalla, it is well worth a look of you don't mind a leisurely drive. You will also see work from a number of other accomplished artists such as Cam Scale, George Rose, Adnate, Dvate, Mooney, Loretta Lizzio, Lucy Lucy and plenty more that add to the street art scene. 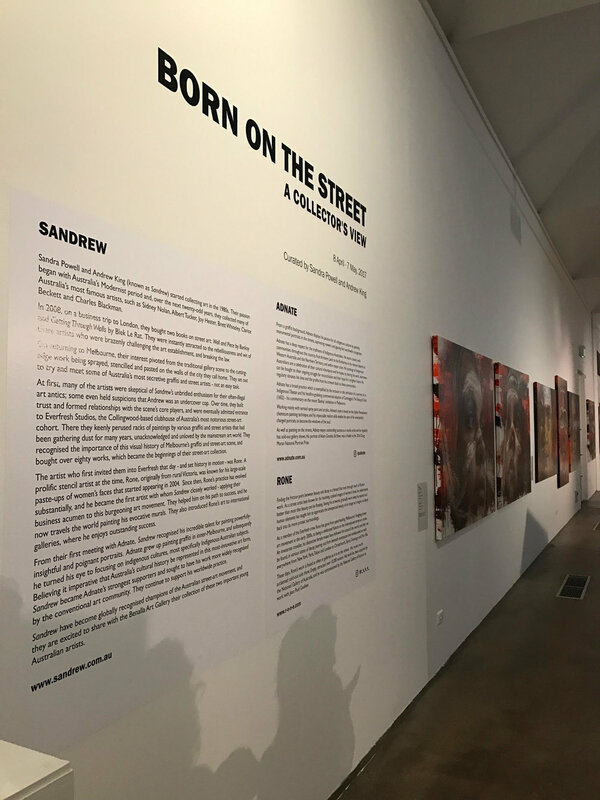 The Art Gallery has a spectacular display curated by long time supporters of the Aussie street art community; Sandra Powell and Andrew King called 'Born on the streets' consisting of the works by Rone and Adnate, two of the country's most prominent street artists. The gallery cafe serves great coffee and is a nice spot to sit in and have a bite to eat with views of the river and large garden area outside. See images from the exhibition below.